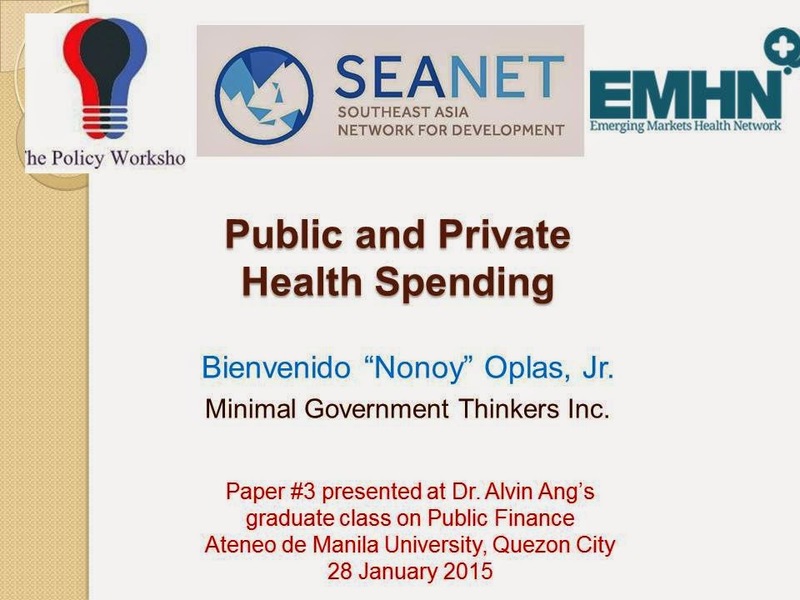 The 3rd paper which I briefly discussed in Ateneo last Wednesday night was about healthcare spending. Some data here I belatedly added as I ran out of time preparing three different topics in one lecture. 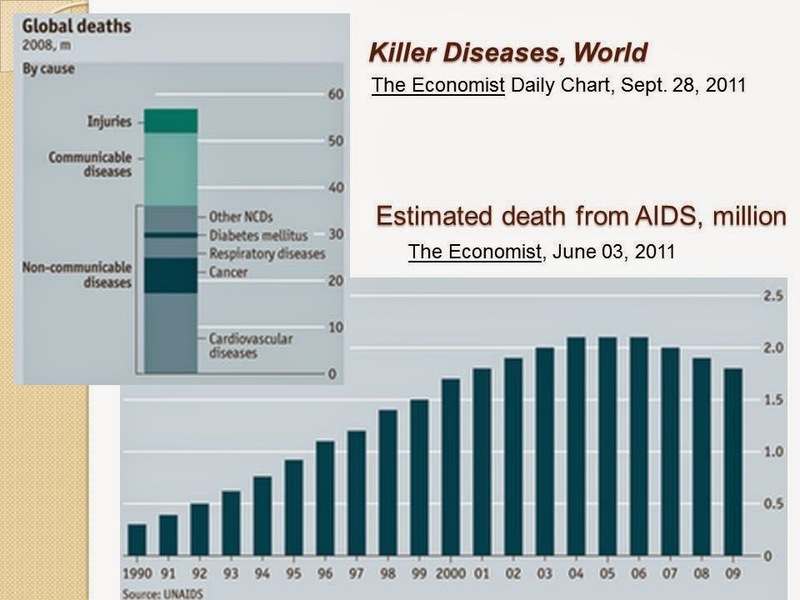 I also used some old data, 2011, 2007, but current numbers should not be too different. 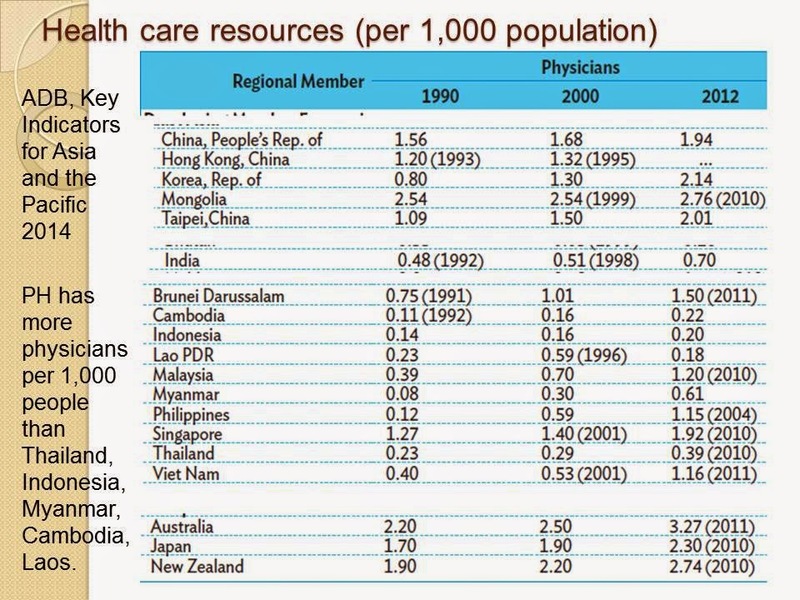 A time series data on number of physicians over 22 years in selected Asian countries. Many people say that government spending in healthcare is "not enough". Really? These national and local agencies are not small. 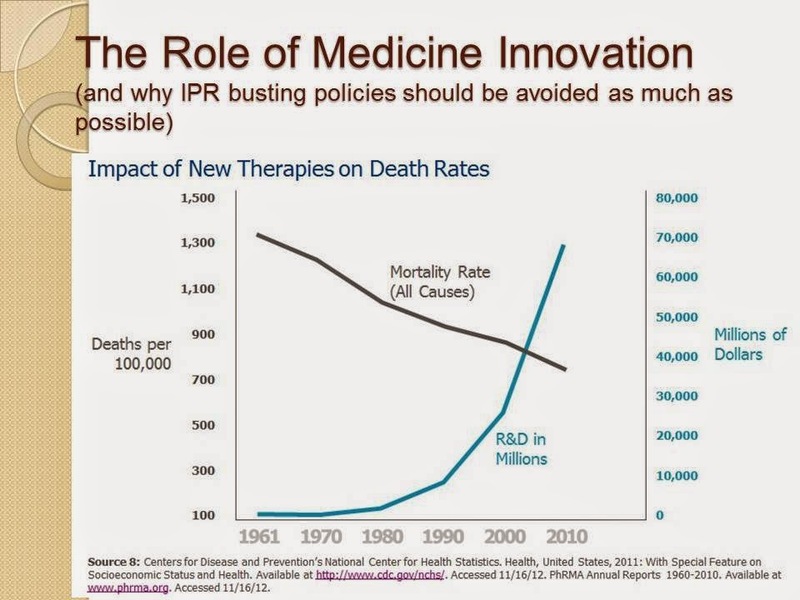 Public spending in healthcare is big. What makes them "small" perhaps is the huge amount of wastes and leakage. Like spending more money on salaries and perks of government personnel and officials who are not providing relevant or useful service delivery. 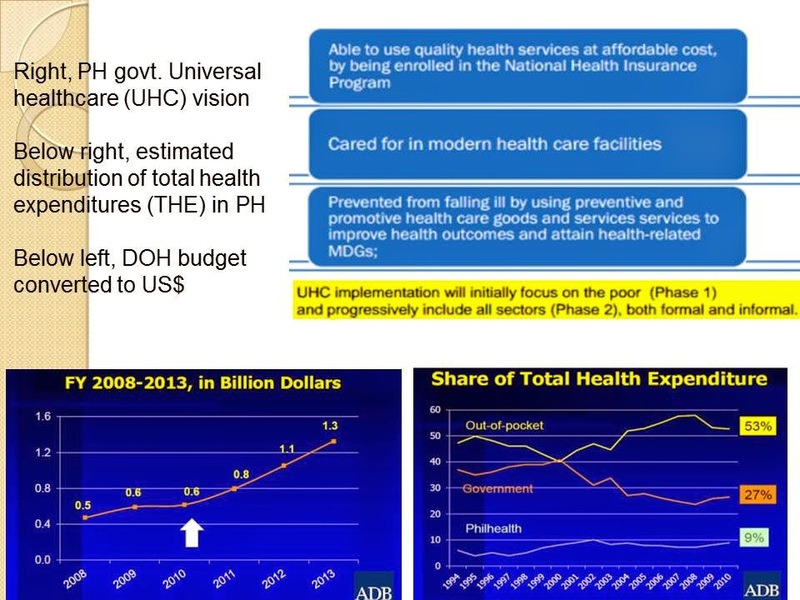 Universal healthcare (UHC) in the Philippines. 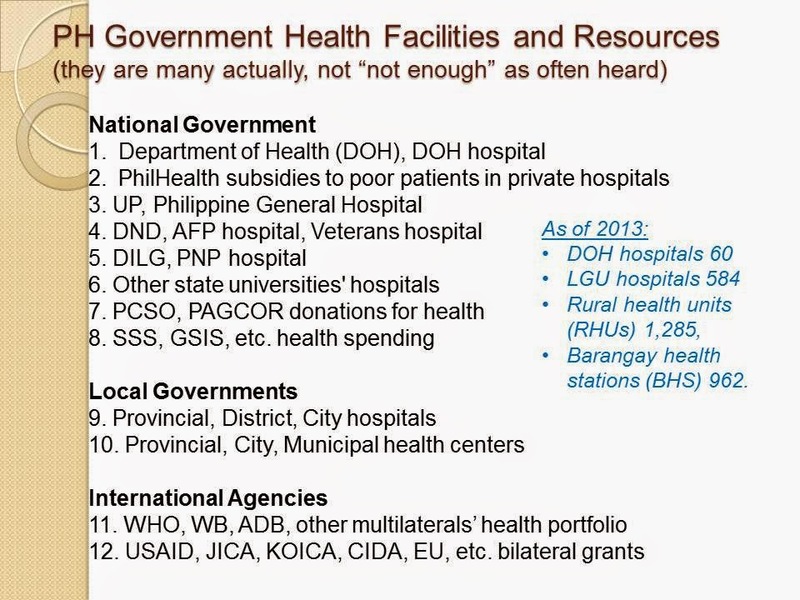 An example of wastes and leakage in the government health delivery system. 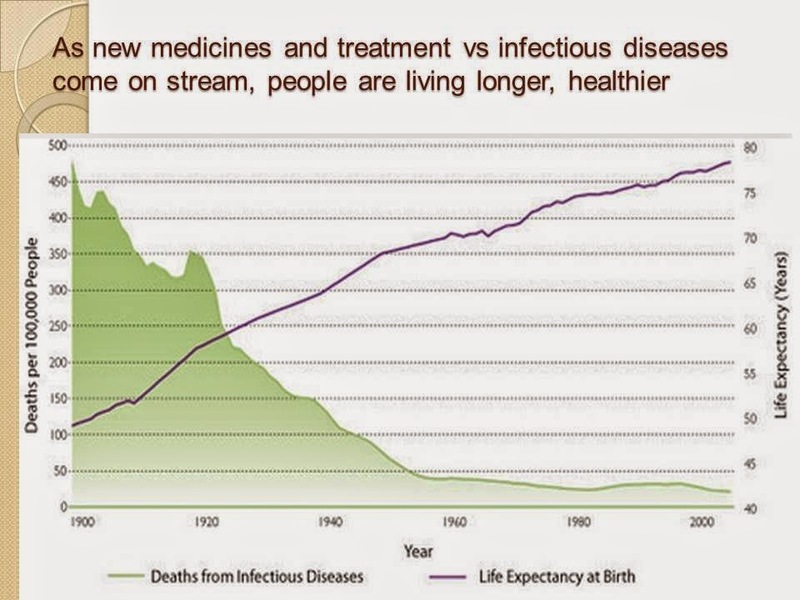 Private spending in health, at least in the corporate and pharma sector. 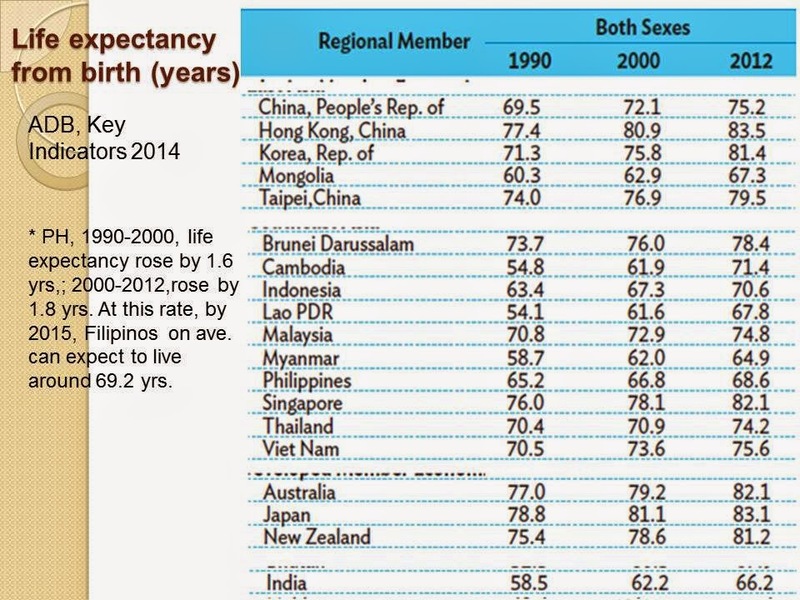 Average life expectancy of people anywhere in the planet is rising. 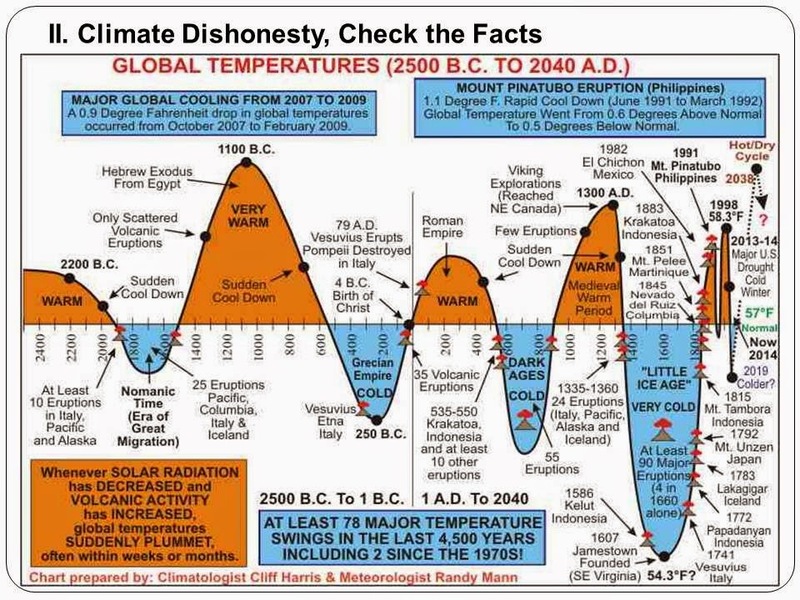 Many people do not recognize this and only point out the pessimistic and negative scenario. I made the following concluding notes. * Reduce taxes on medicines and healthcare. import tax 1-5% + VAT 12% + local government taxes. 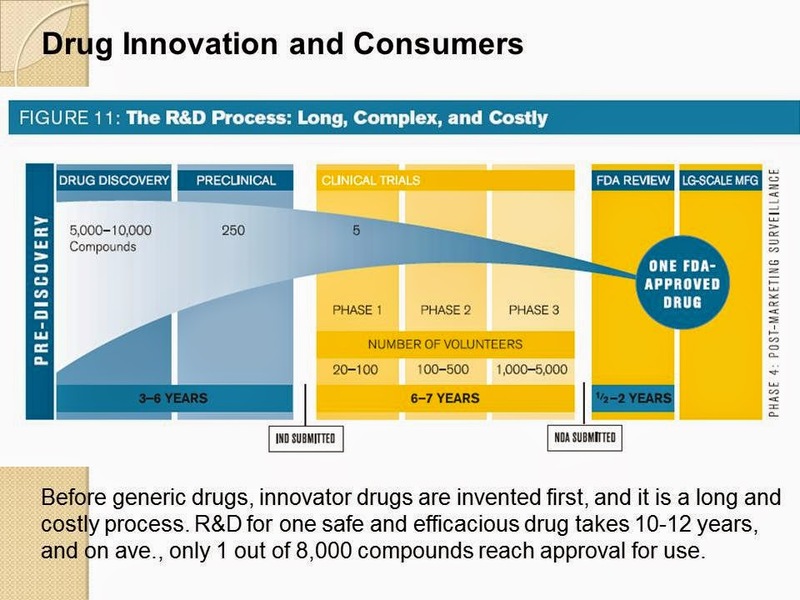 * Encourage, invite more players in pharma (innovators and generics), drugstores, hospitals. Competition from more players is often the best insurance to bring down prices and improve products and services quality. 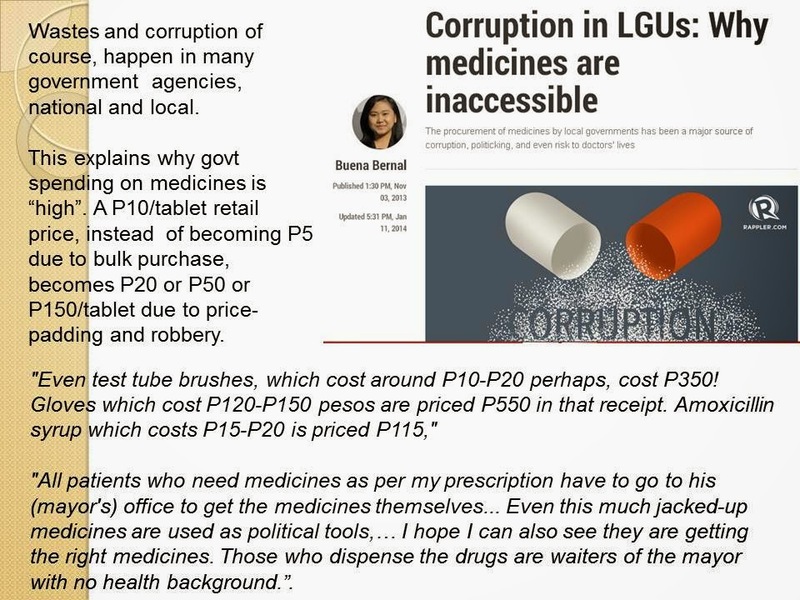 * Do not re-centralize healtcare, allow decentralization and competition among LGUs, among private health insurance, drugstores, hospitals, pharma. The 15-slides presentation is available in my slideshare account. 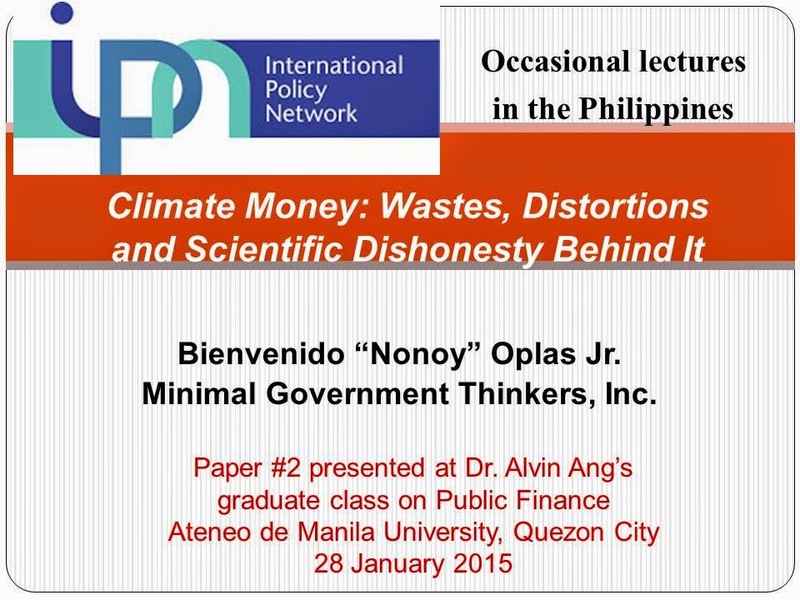 This is the 2nd paper that I presented in a graduate class in Ateneo handled by my friend, Alvin Ang. 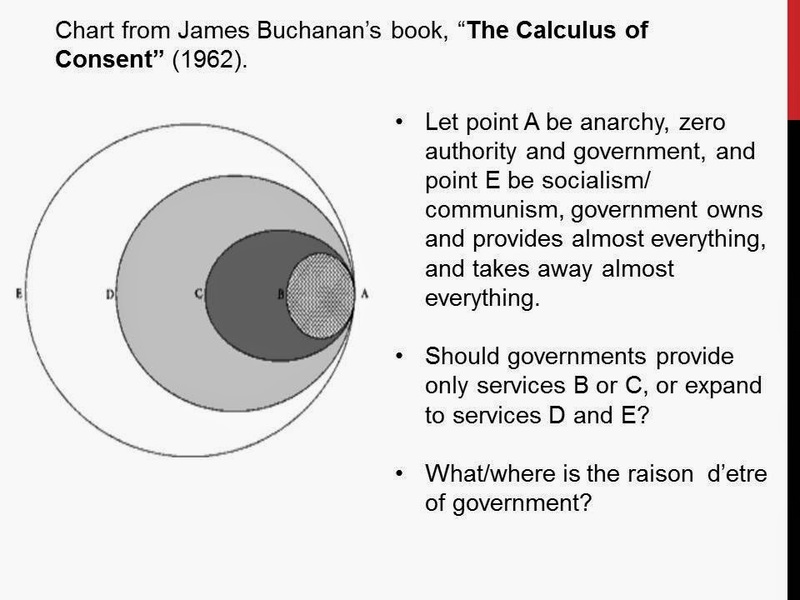 The 1st paper was about some classical theories why government was invented. 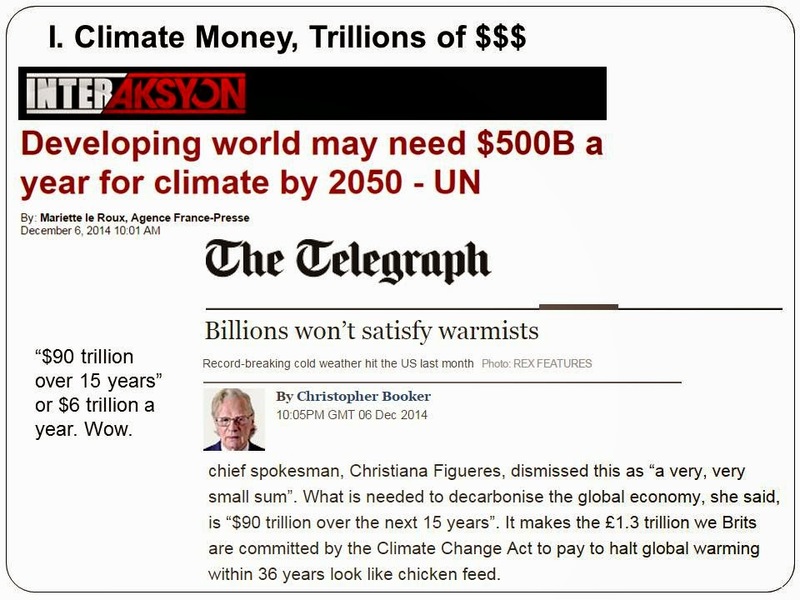 People are not talking about several billion dollars of money here, they are salivating at trillions of dollars yearly. 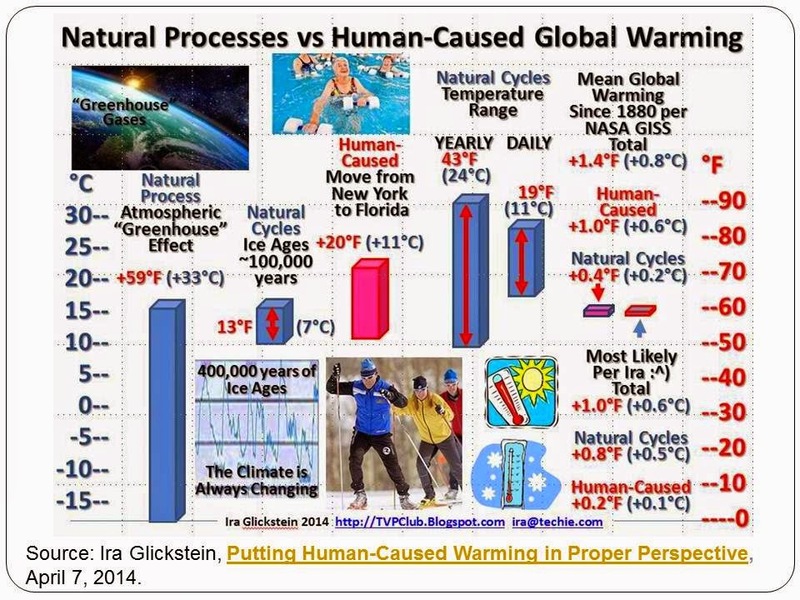 Systems engineer Ira Glickstein made an estimate of how much of the past century's 1 deg F or 0.6 deg C warming, was due to nature and human modernization. 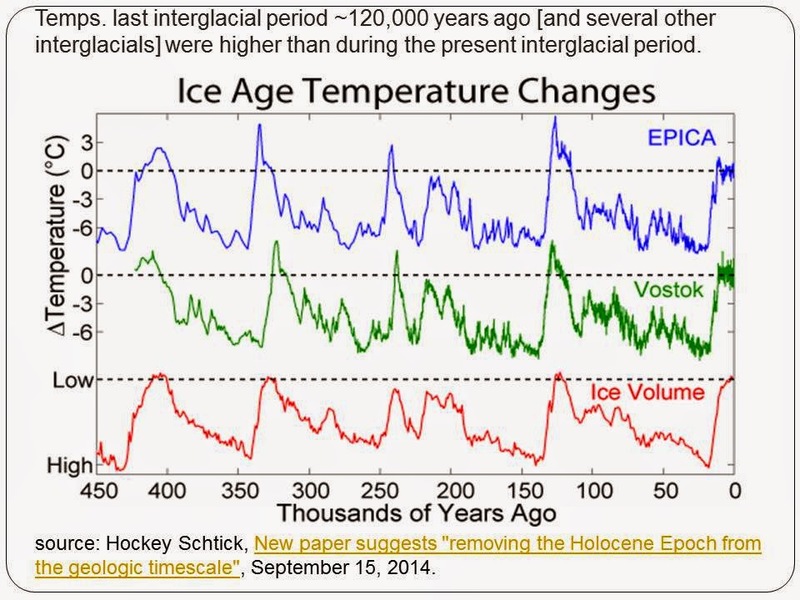 His findings, about 0.5 C of it nature-made, and 0.1 C man-made. 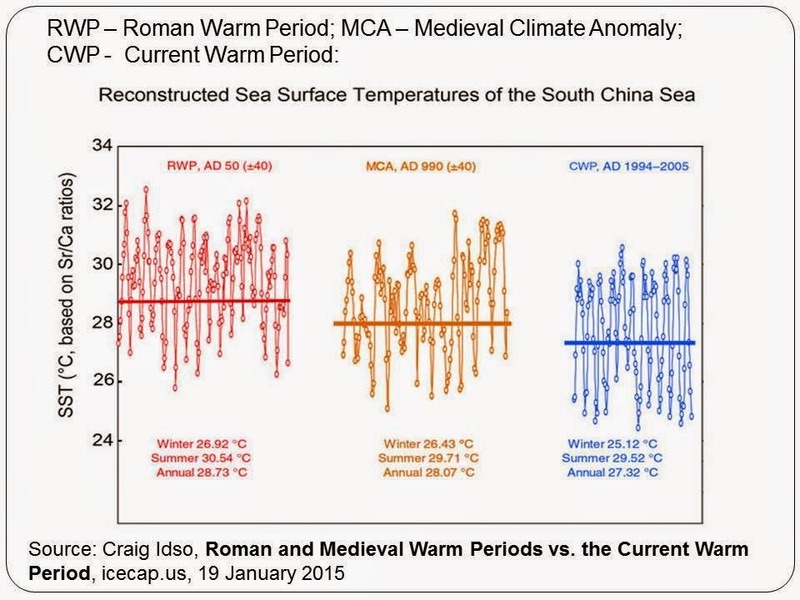 The Pacific Decadal Oscillation (PDO) also shows warming-cooling cycle. 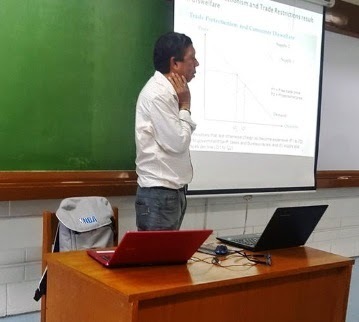 Last Wednesday night, I was a guest lecturer at a friend's graduate class in Ateneo on public finance. 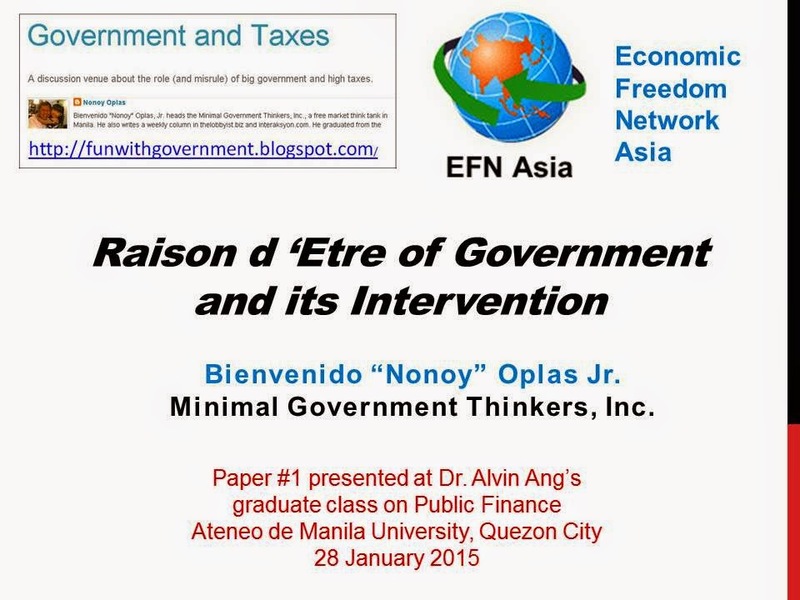 I presented 3 unrelated topics but all related to public finance. 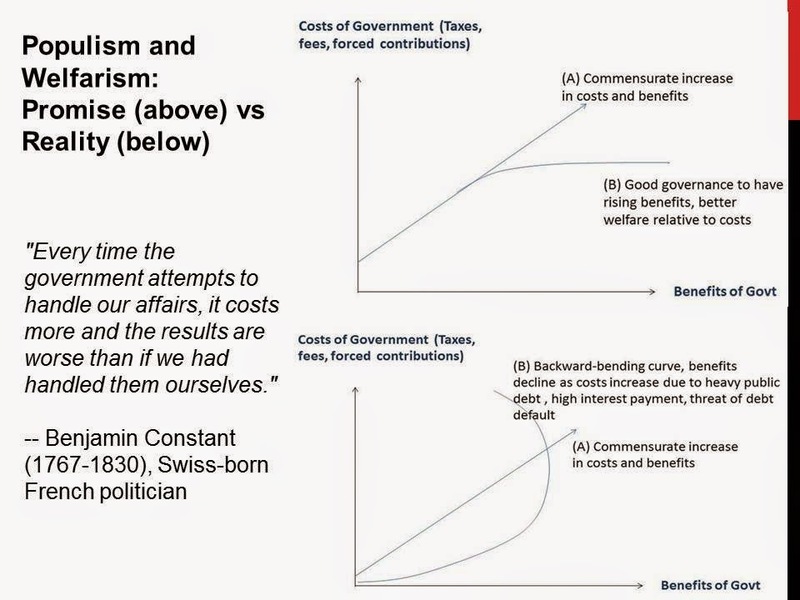 The first is about the reason for existence of government, why government was invented and what are the scope and functions of government, based on one's political belief. 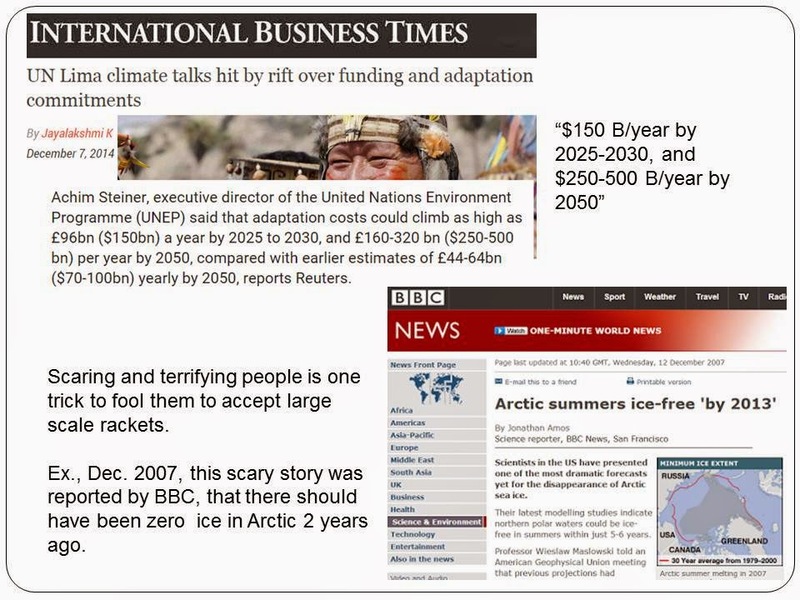 The second paper was about climate money and the corrupted science behind it, and third was about public and private healthcare spending. About 13 or 14 students came, fine. Alvin was out of the country that day. If A and E are the extremes, zero and all-government, then where should be the level of involvement of a sensible government? 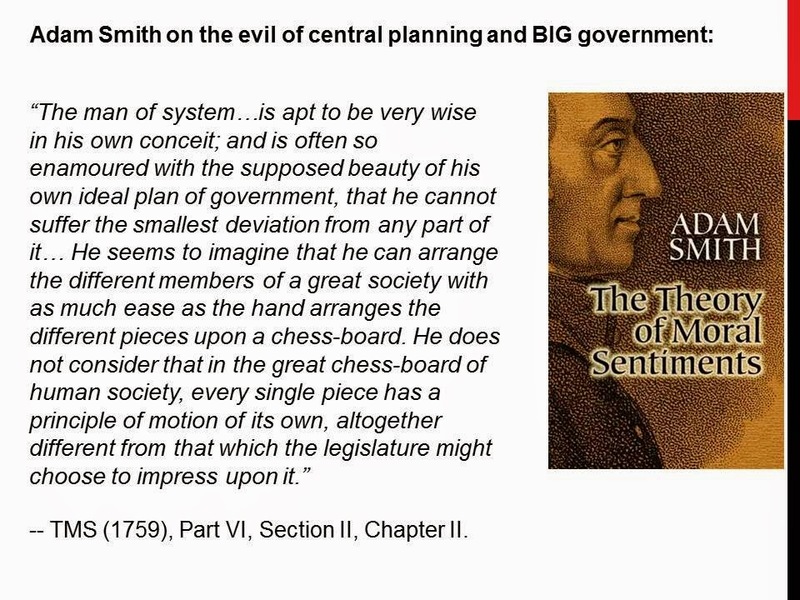 Adam Smith in his earlier book already cautioned people of not allowing their governments to go to point D or E.
And in his second, more popular book, he reiterated that position. 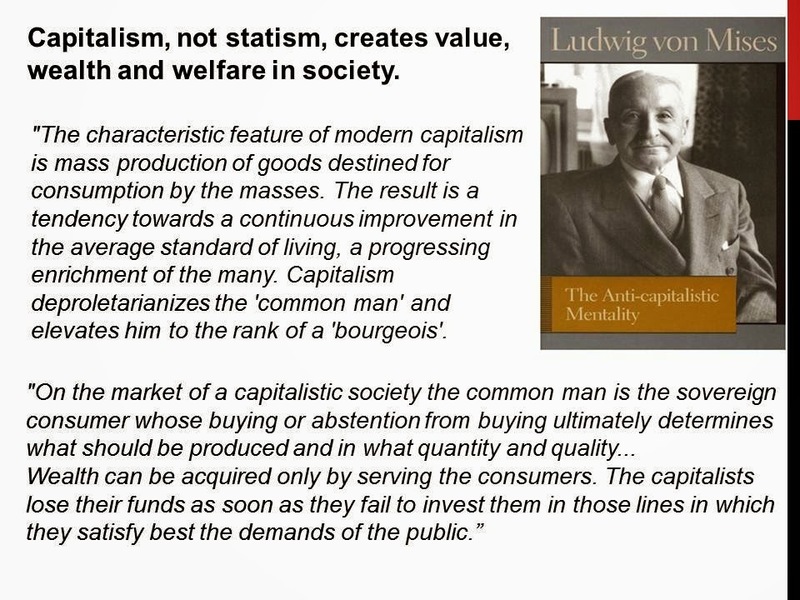 The father of "Austrian economics", Mises, elaborated the value of a free market economy. The customer is "king" even if there are no politics involved. 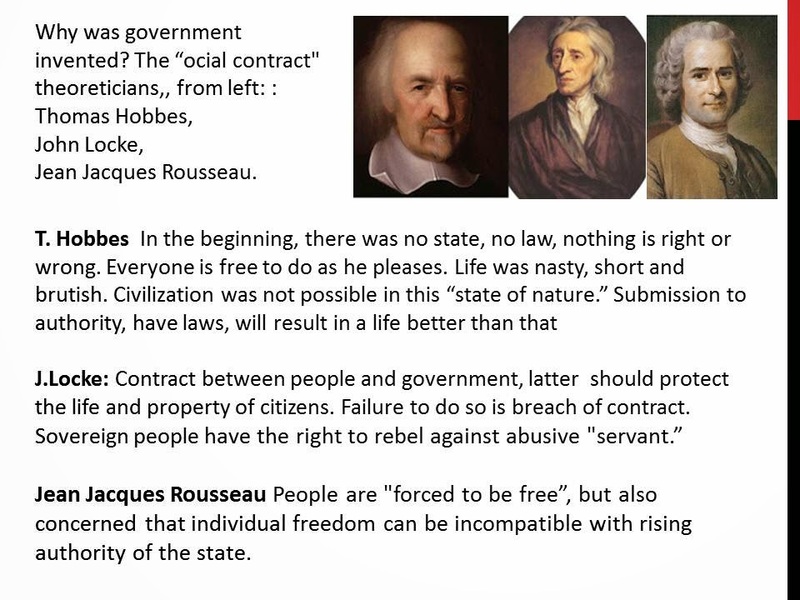 Also among the classical thinkers of "why was government invented", these three philosophers stood out. 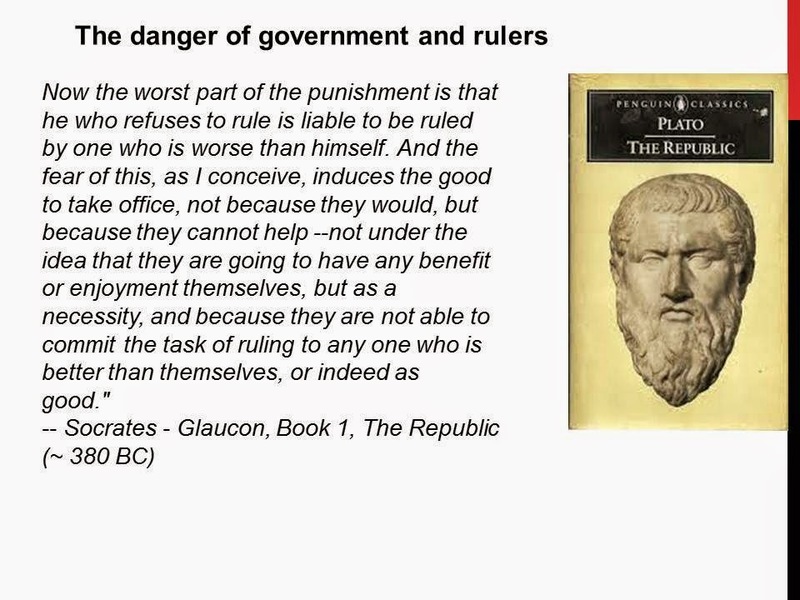 Uhh ohh, Plato himself has cautioned against the danger of (big) government and its governors/administrators/rulers. After WWII, Britain went almost socialist. Meaning almost everything is socialized, including people's pockets and bank savings. 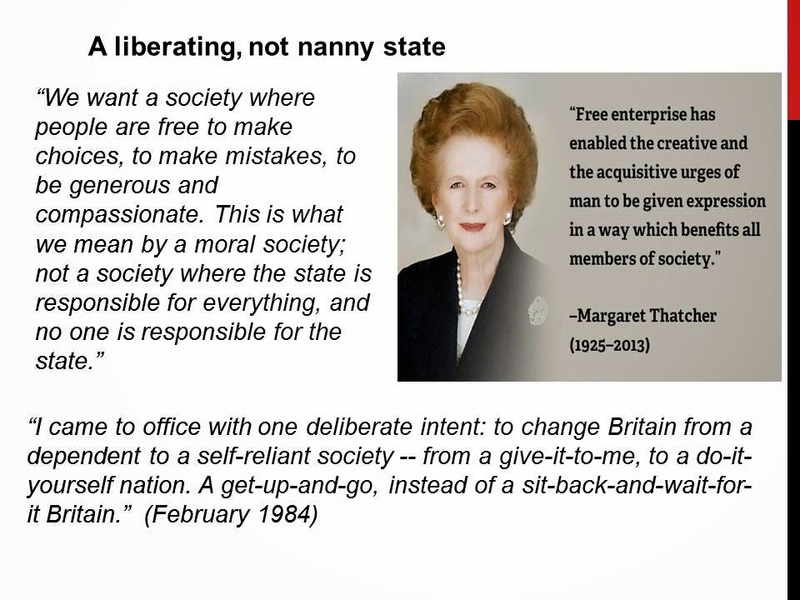 Reagan in the US and Thatcher in UK, the pair re-introduced classical liberal philosophy in their governments. Populism and socialism are deceptive. They promise heaven on earth for the people, especially the poor and/or gullible. Now almost anywhere in the planet, the main complaint of the people are their respective governments. Lots of coercion and prohibitions (yes, things are prohibited unless people get the permits and signatures of regulators first). There is a need to shrink government. Local, national, multilateral agencies. 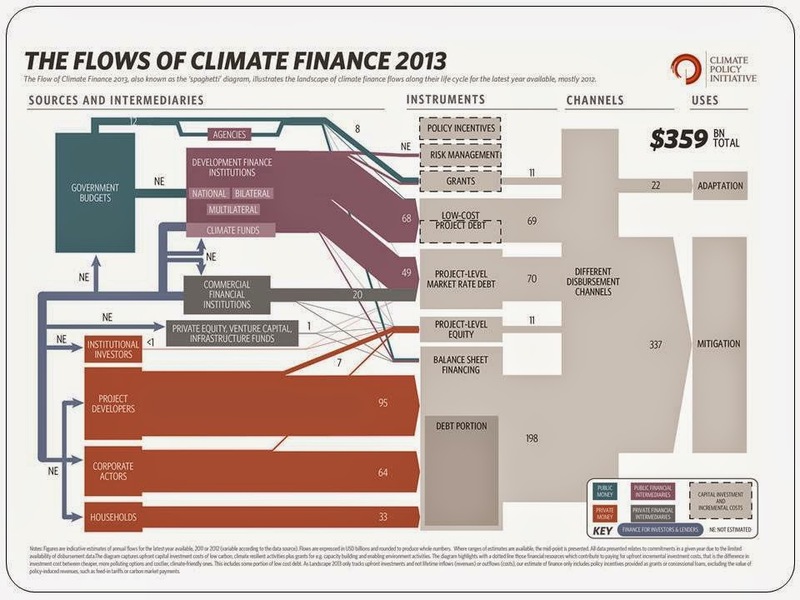 They have been expanding like amoeba and are devouring lots of resources from the private sector like amoeba. 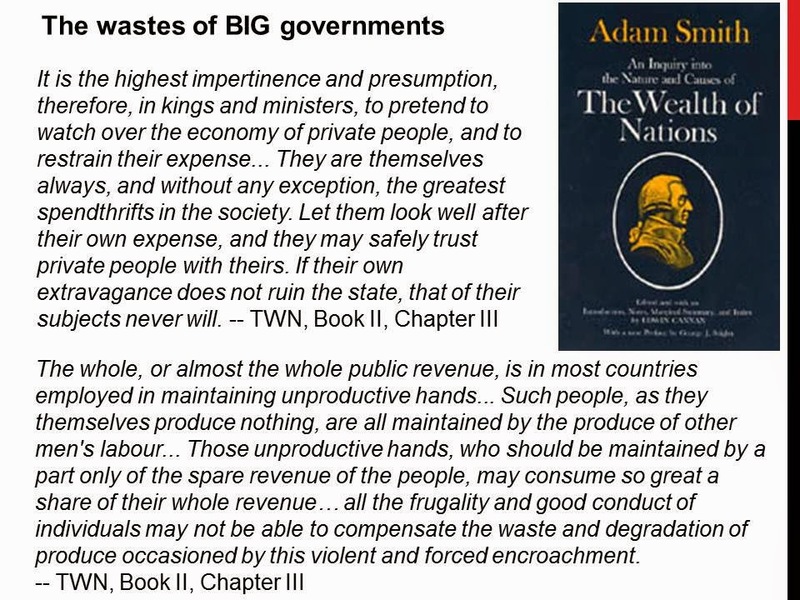 A government big enough to give you everything you want is a government big enough to take from you everything you have. -- Gerald Ford. 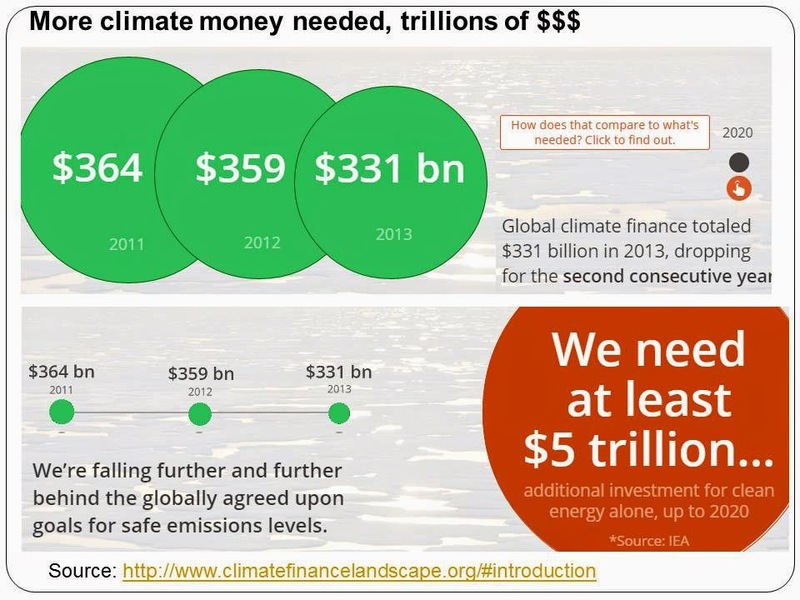 The full 15-slides presentation is posted in slideshare. 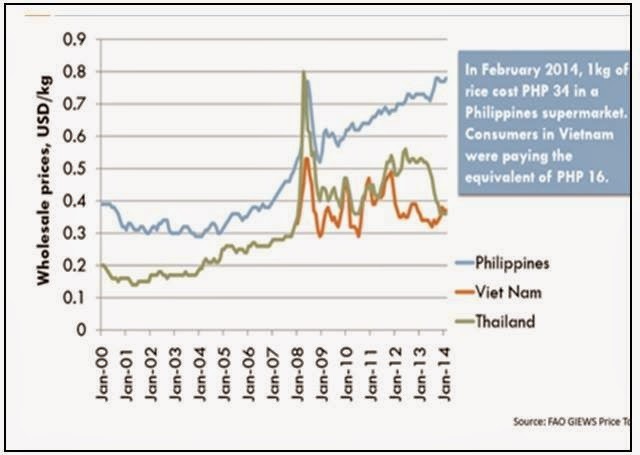 Agri Econ 15: Why do Thailand and Vietnam Produce More Rice than the PH? 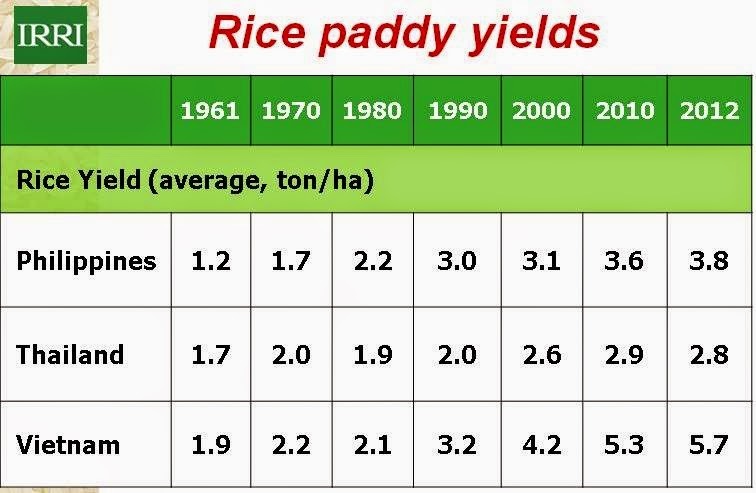 Like many of you, i could not resist asking why other countries like Vietnam and Thailand, who learned the technology of rice planting in IRRI, are now way, way ahead of the Philippines in the area of rice production. The reply was simple and forthright, they walk their talk. Dr. Bruce Tolentino's presentations earlier should have answered such question -- why Vietnam and Thailand have high rice output than PH. 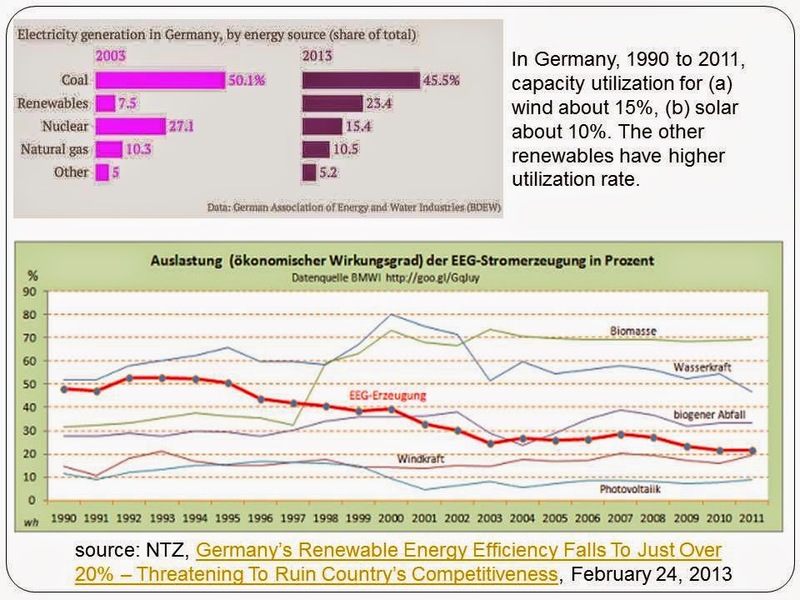 Here are two charts from some of his recent presentations. 1. Thailand has about 11 million hectares of rice land, Vietnam nearly 8 million hectares, vs. only less than 5 M hectares for the PH. 2. The term Thailand and Vietnam are "way ahead of the PH in rice production" is true on absolute rice output, but not for Thailand in average productivity per hectare. 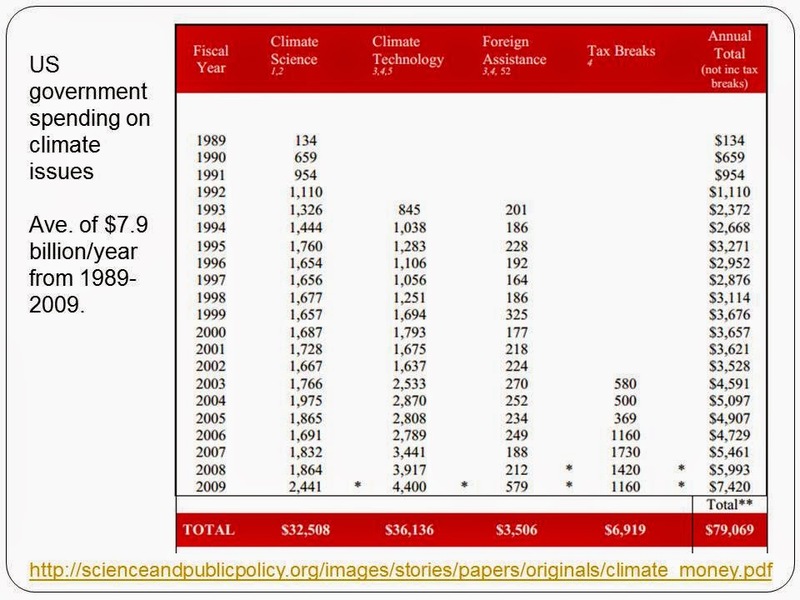 Another chart from Bruce T.
3. TH and VN are on mainland SE Asia. PH is far out and detached from the mainland. Them in the mainland have Mekong River, Ton Le Sap River, other huge rivers that provide huge irrigation. They also have wide flat lands suitable for rice farming. 4. 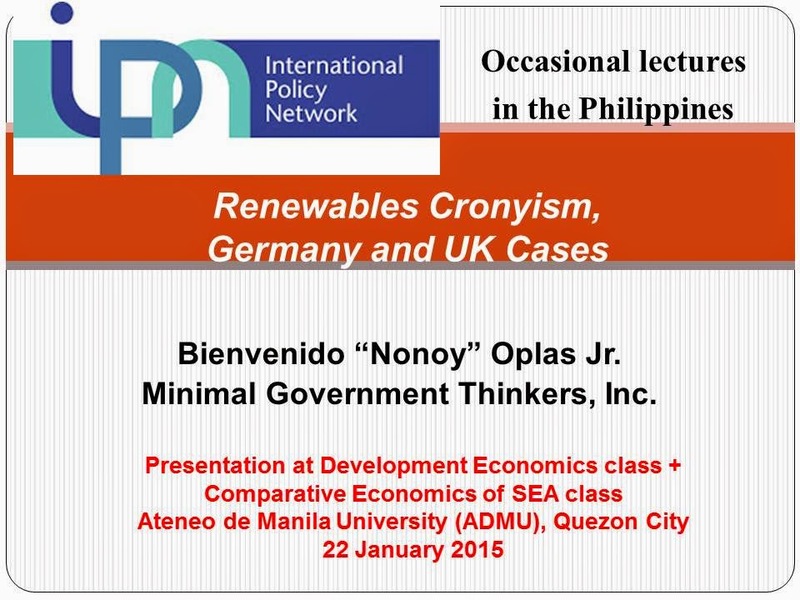 VN and TH perhaps have only about 1/5 of the number of typhoons per year as those entering PH. On average, about 20 typhoons enter the PH, about half just pass nearby while another half make actual landfalls and cause more damages and crop losses. 5. VN and TH are done with their agrarian reform (AR) and forced land redistribution; the PH is not done yet, after 43 years of implementation, starting only in 1972 Marcos' land reform, not counting earlier land reform programs. No timetable, seemingly forever AR means endless uncertainty in agribusiness. 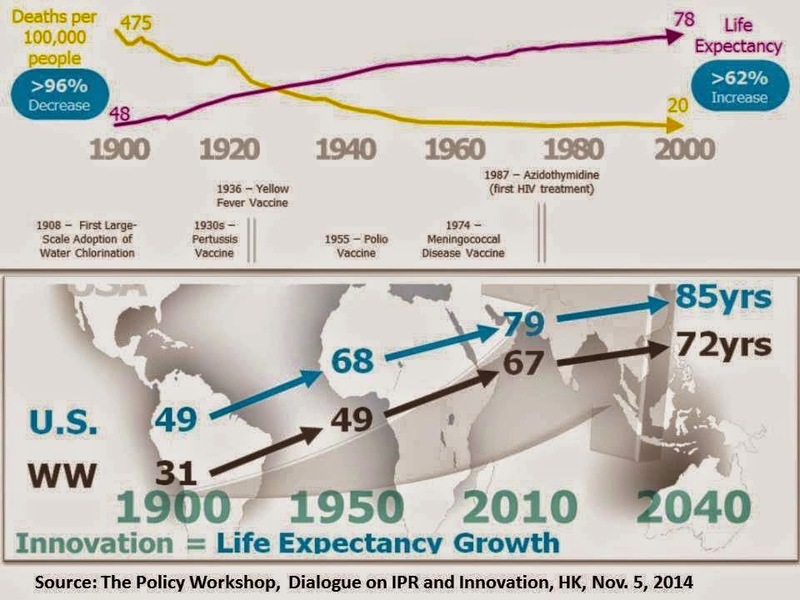 Large scale rice farming is not possible because of potential political backlash. 6. 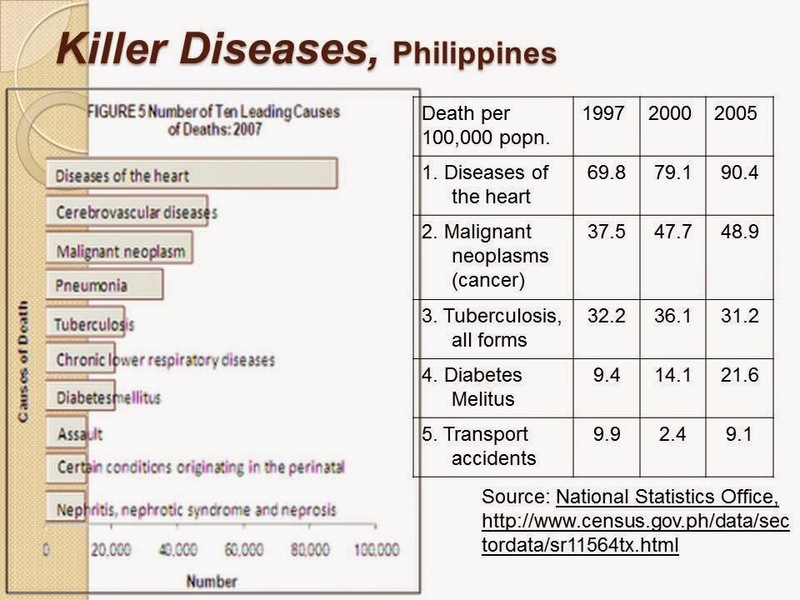 Thailand has only about 65 M population, the PH has 100 M people (as of last year). 7. Subsidies to rice farmers, it is also being done in the PH. Tractors and water pumps, farm roads and irrigation, seeds and credit support, etc., these subsidies are given by the PH national government to small rice farmers. LGUs have their own subsidies too. 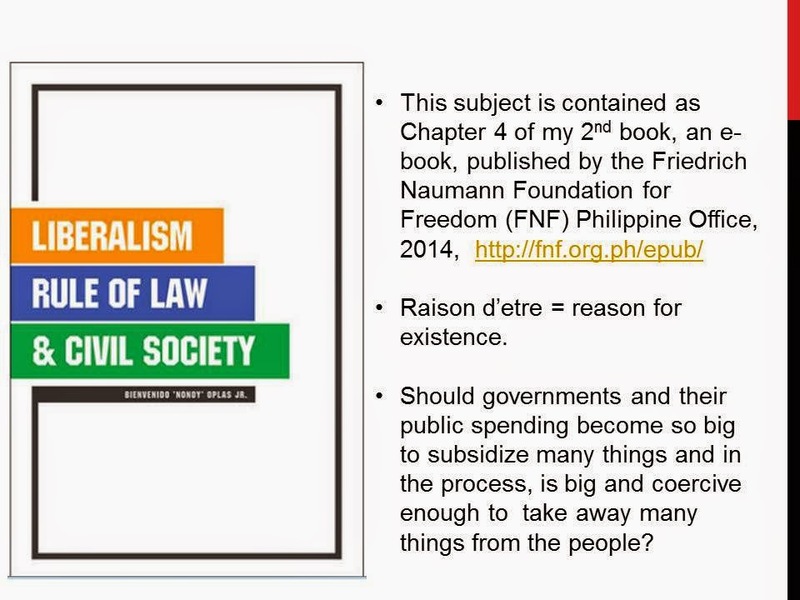 The answer to Renan's question is often outside of politics and governments. Geography and nature provide the clue who should specialize on rice production, who should specialize in tourism, etc. 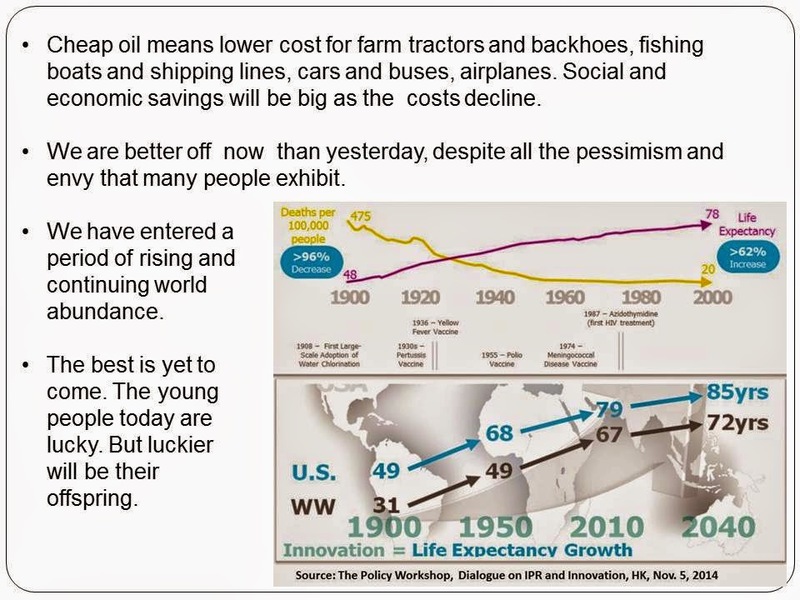 The cost of production can always be lowered through technology and biotech. But crop losses due to frequent typhoons, especially in the current period of global cooling -- more rains, more flood -- losses cannot be easily controlled or minimized. 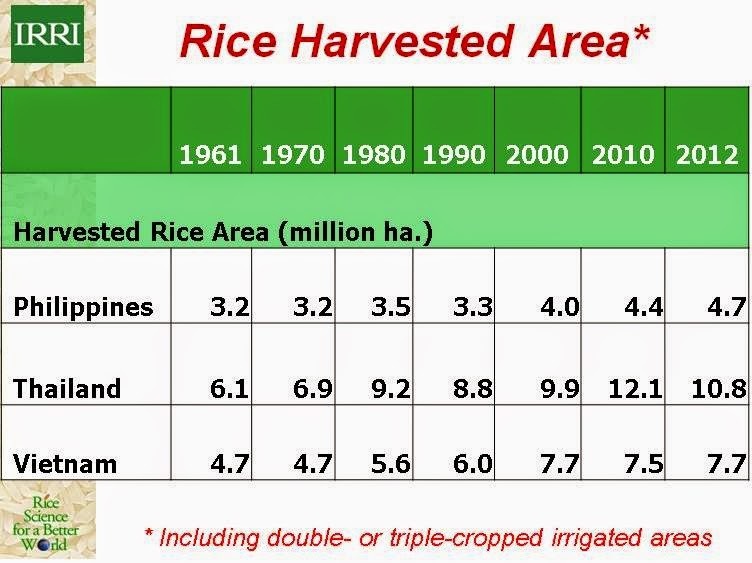 If the PH government should insist on rice "self-sufficiency", then it should allow corporate, large scale rice farming. Economies of scale, tapping lots of plant scientists and geneticists, will greatly improve PH rice output. What is wrong with selling cheap rice from Thailand, Vietnam and Cambodia? Do people glorify expensive rice via rice protectionism, rice QR and rice tariff? Then turn around and lambast the government, lambast anyone else, why PH rice prices are high? The quick solution to more rice supply in the PH is through free trade, Abolish rice protectionism, even NFA monopoly in rice importation and licensing of importers. Allow those cheap rice from Th and Vietnam, and Cambodia, to be sold here cheaply too. 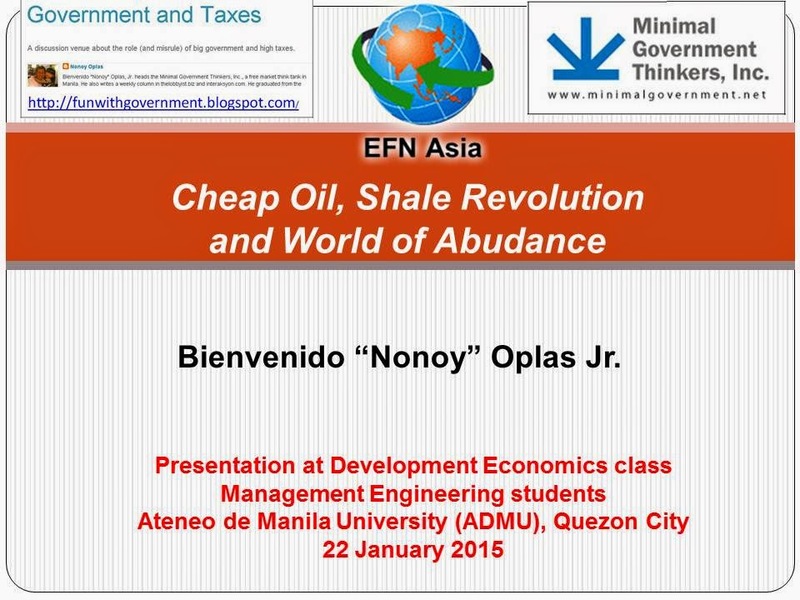 My second lecture before graduating management engineering students of Ateneo in their Development Economics class was about cheap oil. Thanks again to their professor and my friend, Joey Sescon, for allowing me to share these data and observations to the students. As of last weekend, WTI crude oil closed at $4549 a barrel while Brent oil closed at $48.79 a barrel. Wanting to go down to $40 or go up to $50. 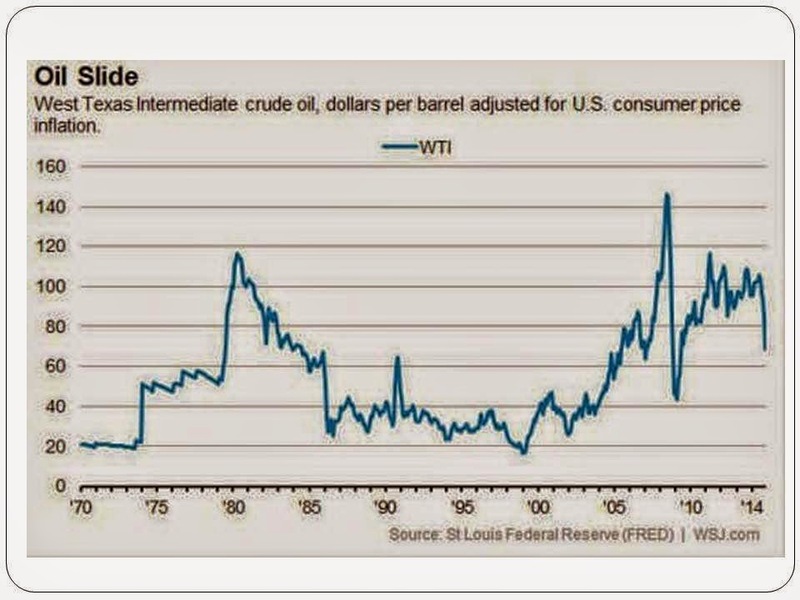 Current prices are attempting to go down the levels in 2009. The low prices in 2009 were due to global financial turmoil and hence, reduction in demand. 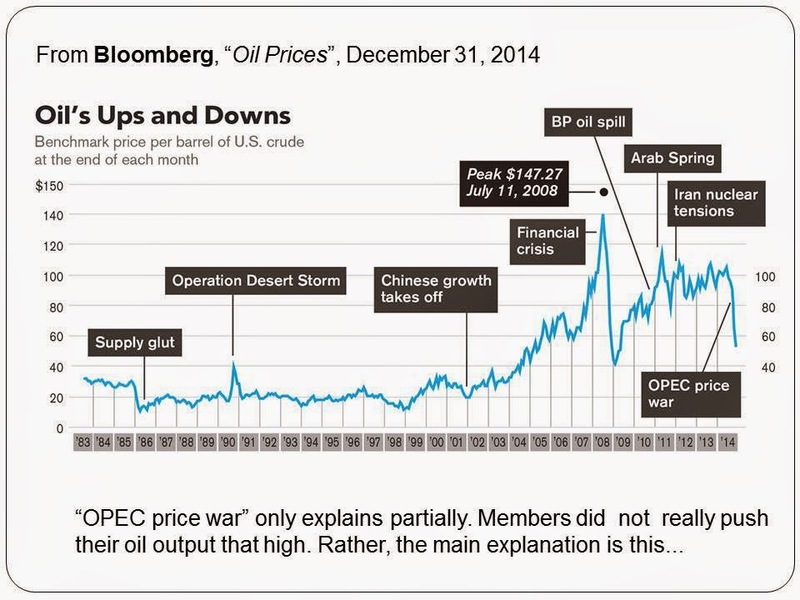 Today's low prices are due to huge oil supply. 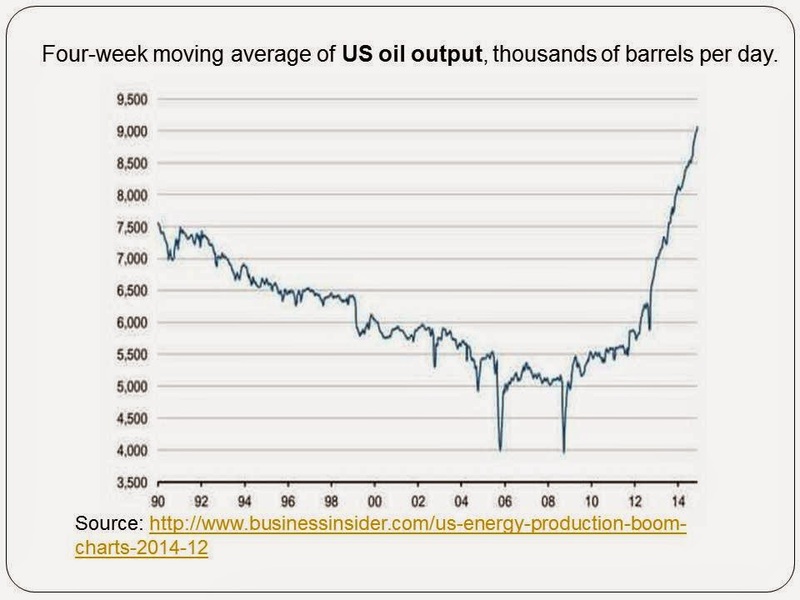 At 9+ million barrels per day, the US' oil output is similar to Saudi Arabia's, if not larger. Japan and Europe are still grappling with anemic growth, even threat of deflation, thus oil demand is almost flat. Besides, modern cars, buses, airplanes, are more fuel efficient. They can travel the same distance at lower fuel consumption. 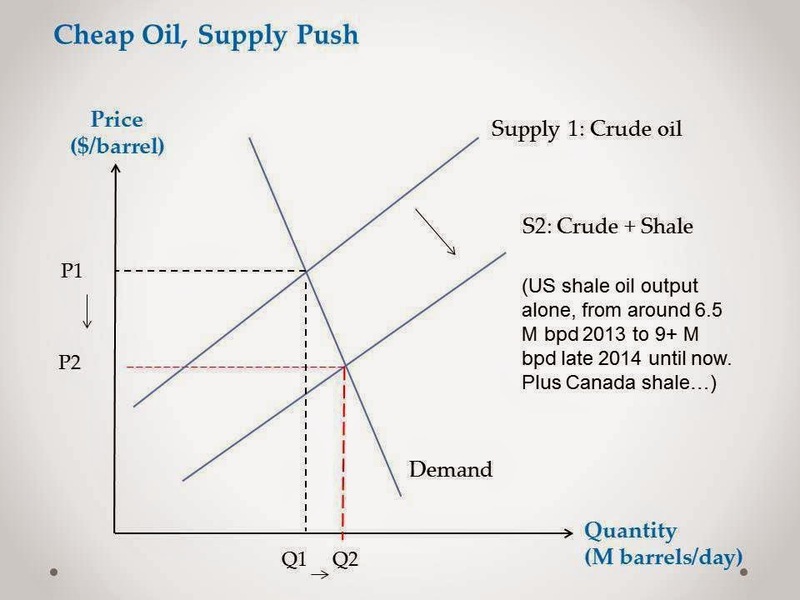 It is in Asia and other emerging markets that oil demand is rising significantly. 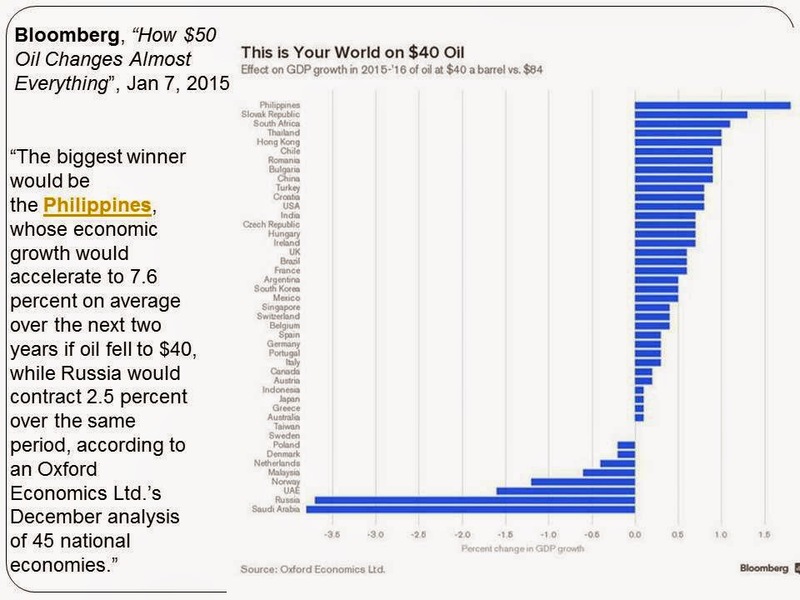 The PH economy to be the biggest winner in the current cheap oil, good news from Bloomberg. A brief presentation, these were my conclusions. 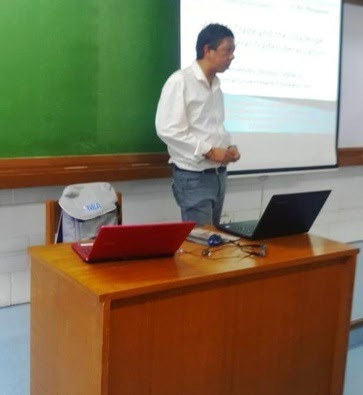 Last Thursday afternoon, I gave two lectures in one class in Ateneo handled by my friend, Joey Sescon. 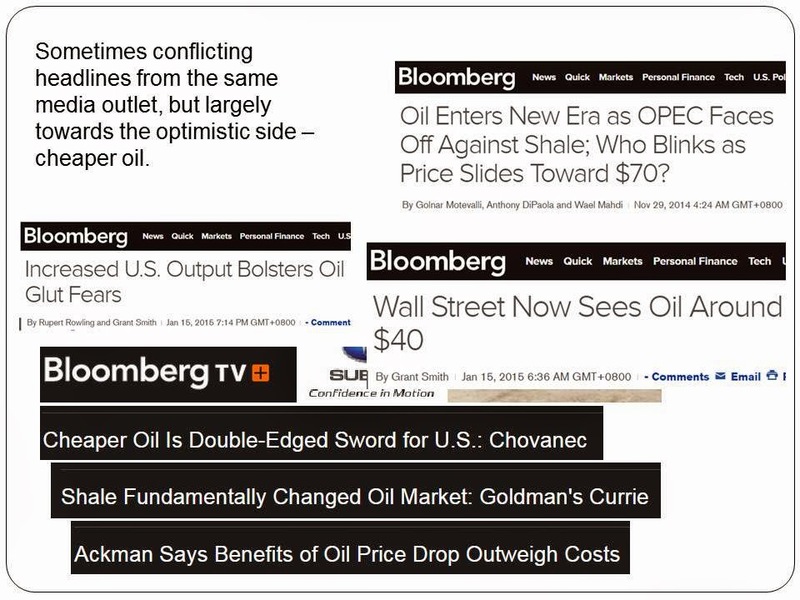 The first is about renewables cronyism, the second about cheap oil. There were many questions and reactions on the first paper, so I presented it again in another class, also handled by Joey. Before presenting the paper, I mentioned that I just came from Nepal. And at this month of the year, brownouts in certain parts of Kathmandu is up to 18 hours a day. The country relies heavily on hydro power and when the ice are still up there in the mountains, not yet melted because it is winter, then the capacity of hydro power plants is very limited. 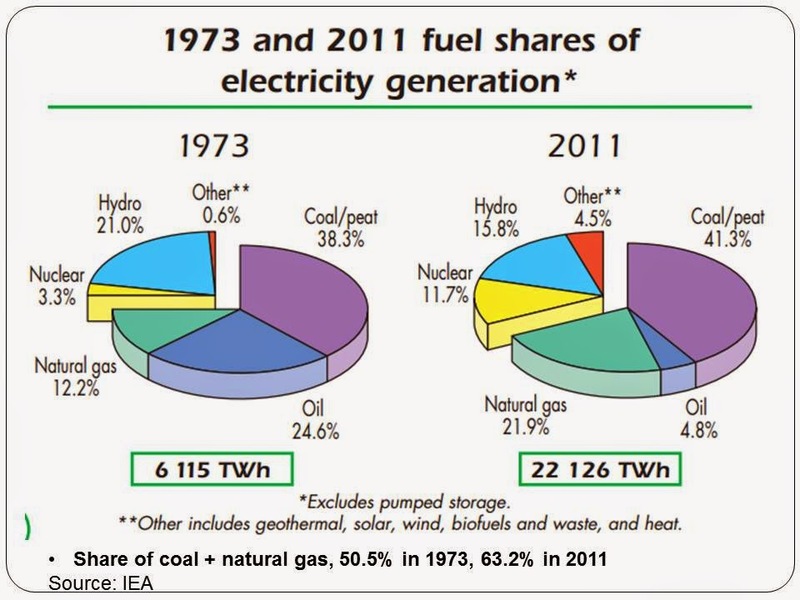 So despite decades of favoritism and subsidies to renewables by many governments especially in Europe, the share to total energy mix and electricity generation remains very small until this decade. 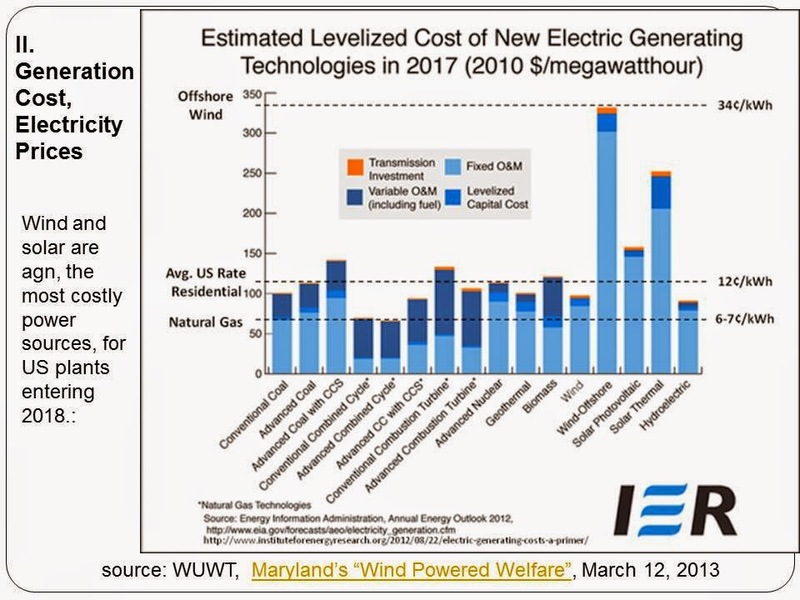 Just one major explanation: wind and solar are simply costly. Their energy density is low, their reliability and stability is low because they are intermittent. 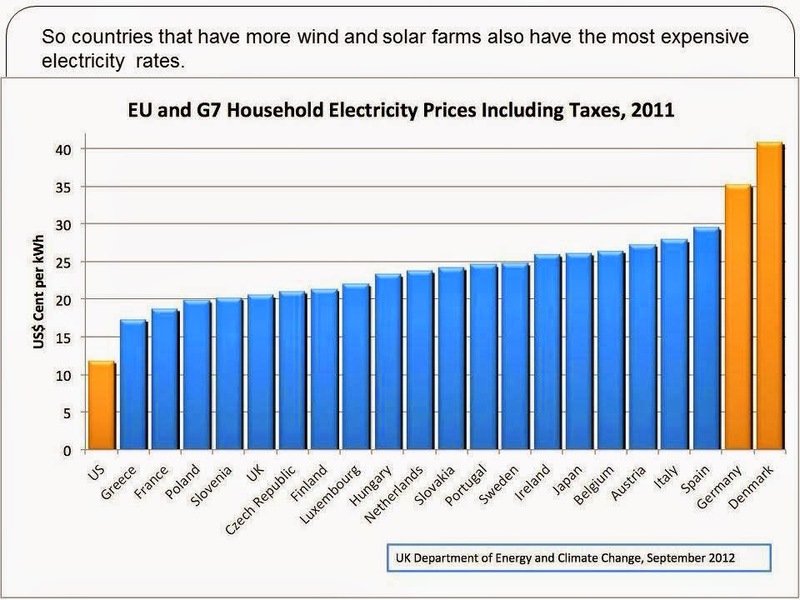 When the wind does not blow, when the Sun does not show up, electricity output is zero, even on days and hours that people want electricity. When I went to south Sweden in 2003, I landed at Copenhagen airport in Denmark, then travelled by train to Malmo, then Lund. Before the plane landed, I saw many windmills on the sea in Denmark, the offshore windmills. They looked cute. 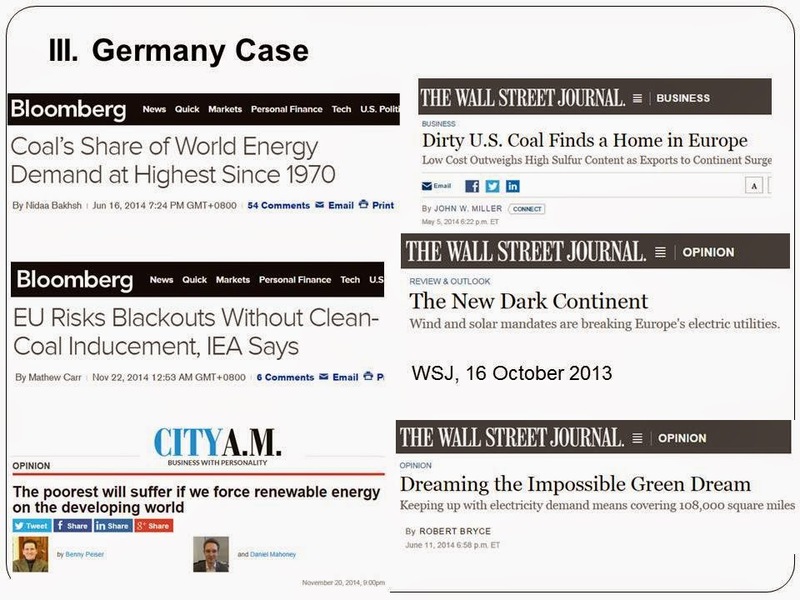 Europe being a very modern continent, and Germany and UK being highly industrialized countries, and yet there are stories and reports of “EU risks blackout”, a “dark continent”, and “impossible green dream”. 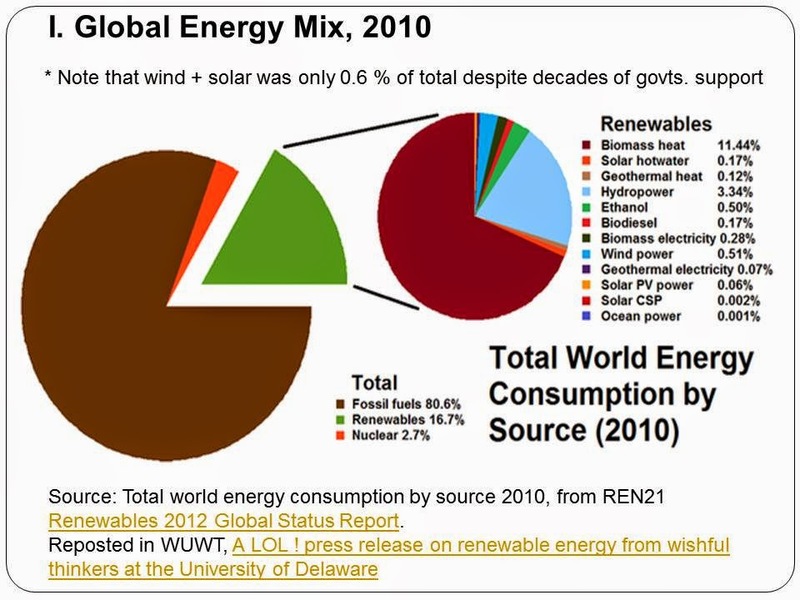 In developed Asia like Hong Kong (electricity, 71% from coal, 29% from natural gas, zero from renewables; Singapore 78% from natural gas and 18% from oil, very small from renewables (as of 2011, from ADB’’s Key Indicators 2014) ); S. Korea and Japan, the words “blackout” or brownout” or “dark continent” are never heard. 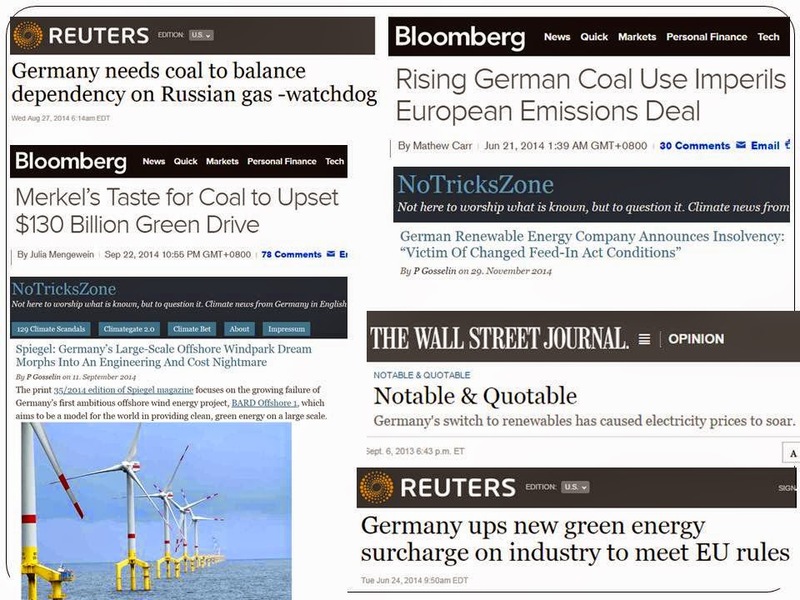 They have huge, stable and reliable energy supply, at cheap prices, their energy policies have not been hijacked by green socialism yet. Migration 23: Why Do Many Filipinos Work Abroad?